This Spring-themed votive is thrown on the potters wheel and carved with a unique flower pattern designed by Jennifer Lachtara. 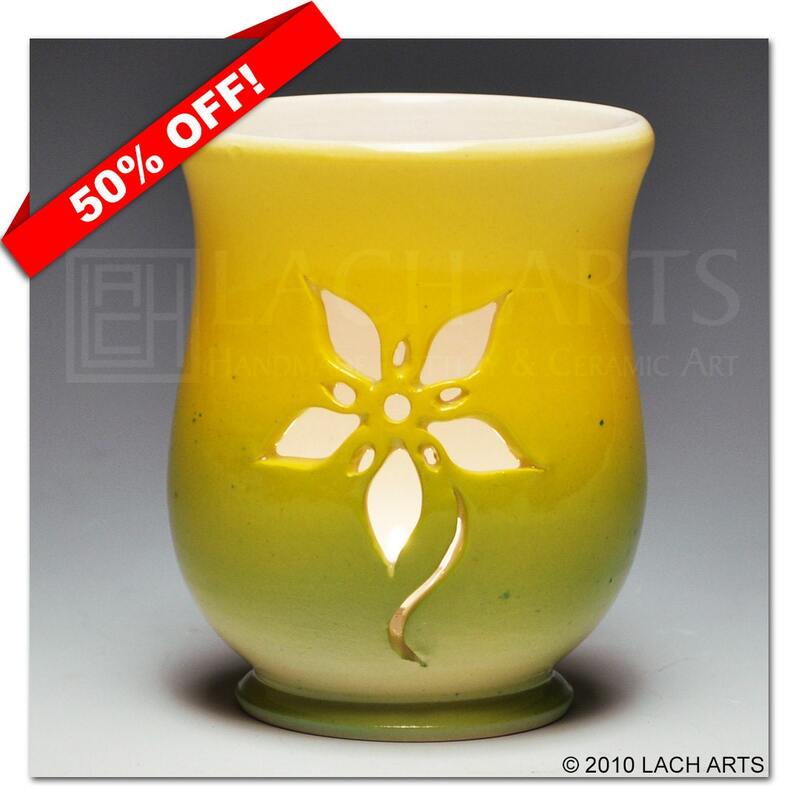 Decorated with lead-free underglazes in a gradiating pattern (green to yellow) and finished with a durable lead-free clear glaze, this votive is fired to 1990º in an electric kiln. All votives ship with a starter tea light, so you will be able to illuminate your room as soon as you open the box!